Even if you do not see evidence of water issues, the presence of a stale or musty odor alone is reason to call in a professional. Water can hide in many places that are not visible–even inside the concrete blocks of a wall. 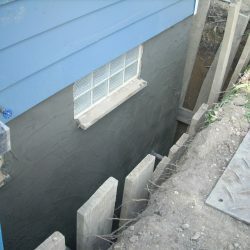 In short, exterior basement waterproofing involves excavating to expose the foundation wall, replacing the drainage system, sealing exterior wall and backfilling. 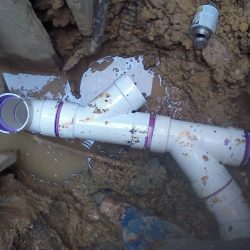 For many home owners the extent of this work sounds scary, intimidating, messy and expensive. That’s understandable so let’s talk about it. First off, let’s go over the expense–while each home is unique it is not unusual to find that having a proper exterior system installed is comparable to a full interior system. 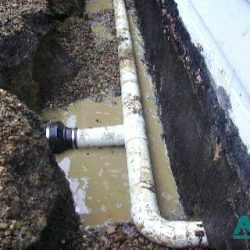 In other words, fixing your basement water problem may not be much different in price then just treating the symptoms. If you’ve lost some of your possessions to water damage you know that there is a cost involved in replacing damaged items. Other items that are damaged in your basement from long term exposure to dampness–like furnace damage, appliance metal erosion, warping or weakening of woods and flooring and dry rot–may be harder to put a price on but it can certainly lead to a big expense. Did you know it is estimated that a wet basement can decrease your home value by 10 percent to 25 percent? Or that residential real estate professionals say you can expect to get back 150 percent of the money you put into keeping your basement dry? A dry basement and extra living space is an asset to the value of your home. There’s no putting a price on the value of your health; but, just what could it cost to treat breathing problems, asthma, eye, nose and skin irritation, headaches, fevers and other respiratory problems caused by mildew and mold? That can be burden on your budget in times of soaring healthcare costs. 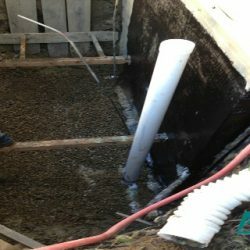 An interior waterproofing system is installed inside the home in the basement. It does not stop water from penetrating the exterior walls. 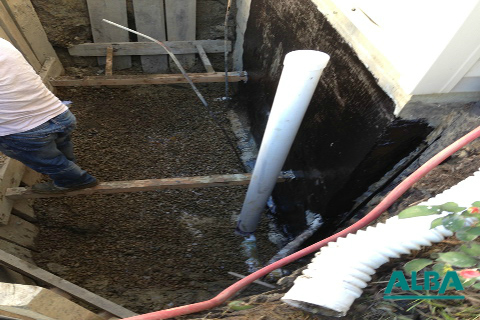 This means that the damage to the foundation walls continues and the water will eventually weaken the foundation walls. 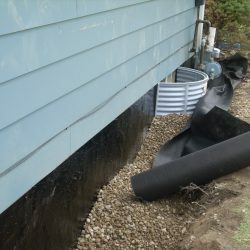 Additionally the water is intentionally brought into the basement and then removed from the basement with the use of a sump well and pump. 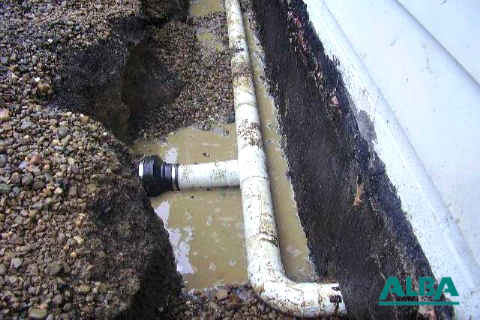 During an electrical outage the sump well can overflow and flood the basement. 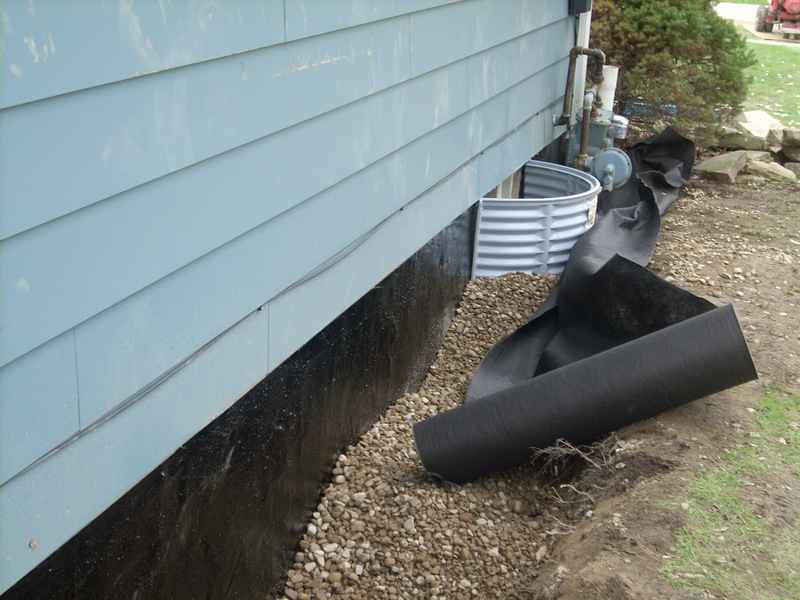 Vapor barriers are sheets of solid plastic or vinyl. They are applied directly to the foundation wall. 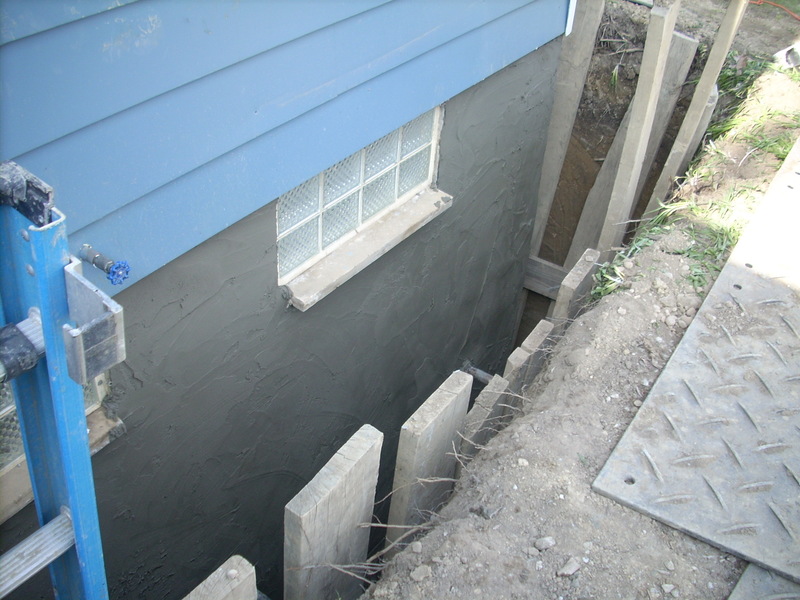 Since these barriers do not prevent water from getting into the foundation wall they will not prevent damage to the foundation of the home. 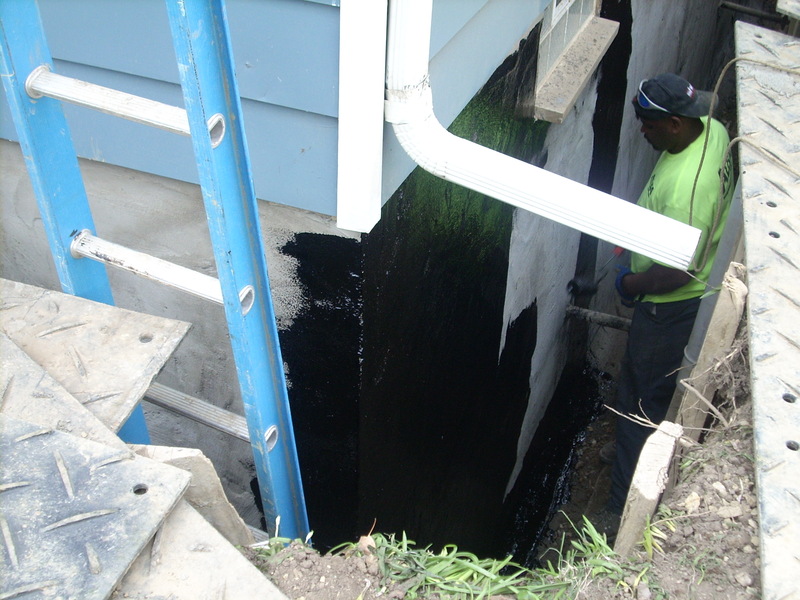 Paint products are not useful for basement waterproofing. 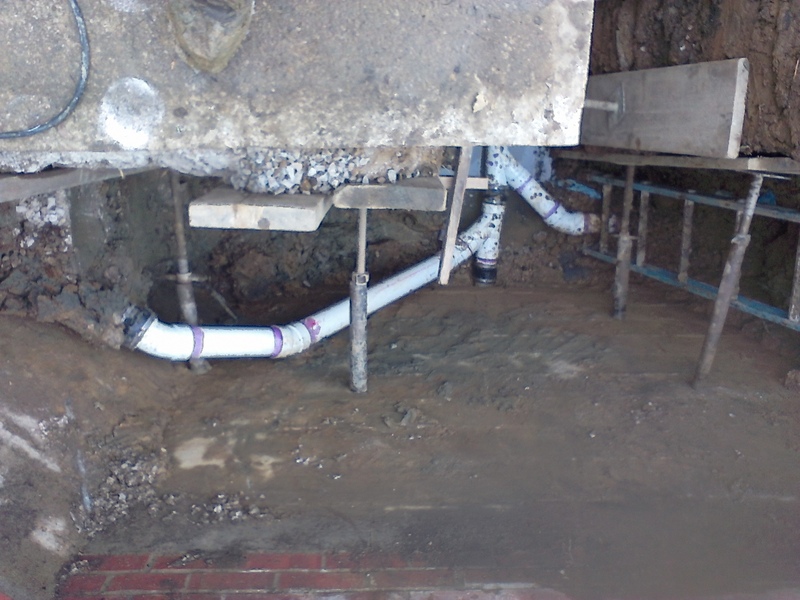 They are meant to be used to prevent water penetration on walls that are not below ground. They may prevent dampness for a short period of time but water coming through a foundation wall will cause the paint to peal from the wall. 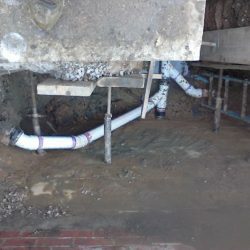 Inside systems treat the symptoms of a wet basement, not the source. They allow expensive damage to continue happening to your home. 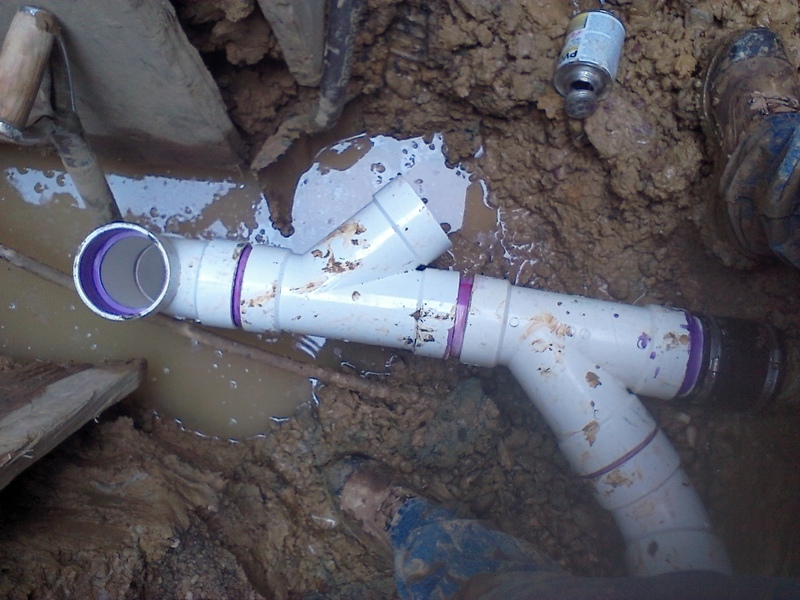 That’s why we don’t install any type of interior waterproofing. Still, won’t it be messy? Somewhat but briefly. 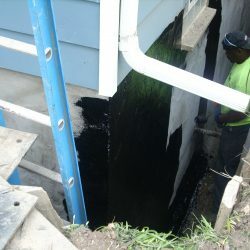 The average waterproofing project only takes three days to complete. The biggest complaint homeowners have about mess is due to dirt on their driveway and/or street and ruts in their lawns from the heavy equipment. A professional waterproofing contractor has a well-maintained fleet of trucks and equipment that allows them to keep clean up to a minimum. They also take the time to clean up after themselves and to fix the ruts. It’s an important point to keep in mind when choosing your contractor. With the right contractor, your project can include landscape restoration so that your home looks as beautiful, or even more beautiful, after the project as it did before. Does it still seem scary and intimidating? That’s where business-like, professional people become even more important. Working with a contractor who understands professionalism and will explain your specific project to you will ease your fears. After working with a well run organization that stands behind their work you’ll appreciate how easy they made your project seem.